If there was one story from this past offseason that could directly affect the landscape of the Western Illinois Valley Conference (WIVC), it was without question the addition of the Beardstown Tigers. Formerly members of the Prairieland athletics conference, Beardstown joins the WIVC North this year as the conference’s largest school in terms of enrollment, which stands at approximately 415 students. Compared to the other WIVC schools, both North and South, which average anywhere between 100 and 200 students, BHS (Beardstown High School) is significantly bigger than any of their new conference rivals; as such, the Tigers football team competes as a Class 2A school in the IHSA (Illinois High School Association). 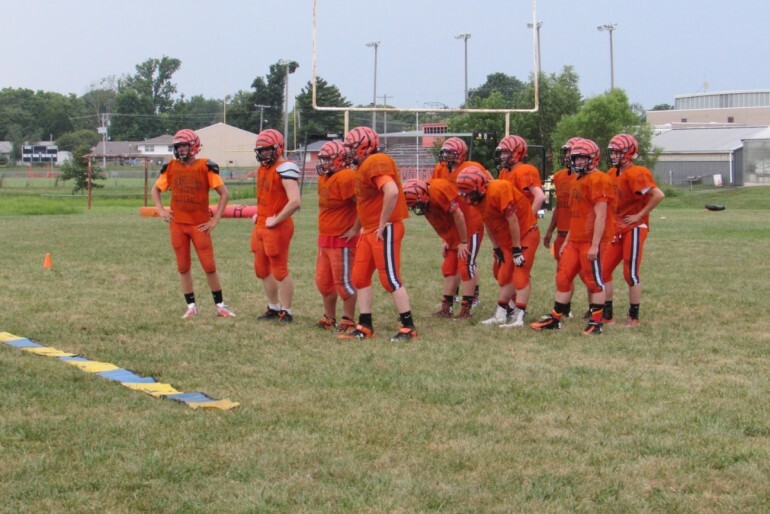 Looking at the size difference between Beardstown and the rest of the WIVC might lead you to believe that the Tigers will likely hold an advantage on the football field this fall, which they very well could. 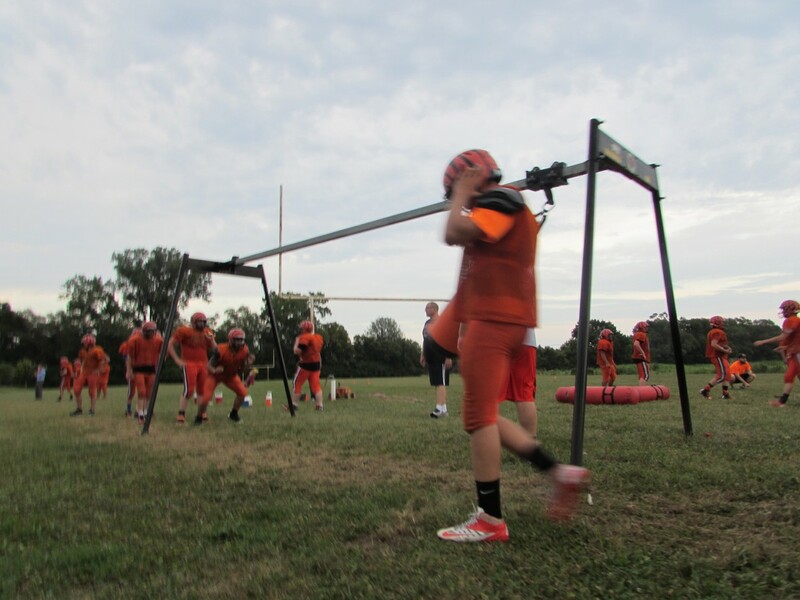 But as a larger school, Beardstown offers more fall sports than most of its WIVC opponents, and thus, the number of kids who go out for football is actually quite similar to that of their foes. Entering his third year as the Tigers head football coach, Tyler Buhlig holds an overall record of 6-13, with one playoff appearance in 2013. 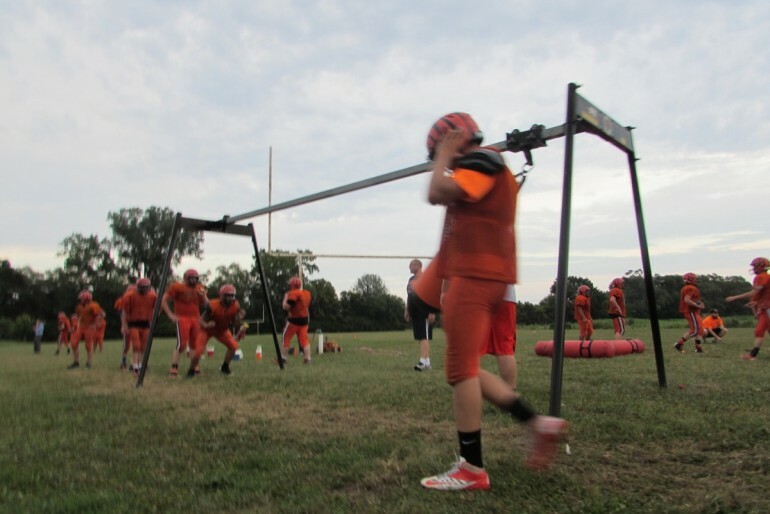 But when you consider that 9 of those 13 losses came during last year’s regular season – the last time Beardstown went winless in season was 1985 – you can see that the program is eager to get out of its current rut. Coming over to the WIVC from the always competitive Prairieland Blue Conference – which includes teams like Havana, Farmington and Elmwood/Brimfield – the Tigers will go from a powerful 2A/3A conference, to a predominantly 1A conference. And while their numbers are relatively equal to that of their new opponents, Beardstown returns several key starters from last year’s squad. It all starts with 6’0, 235 lbs. senior Will Robertson, the team’s center/defensive end, who will be among the most mentioned names for the Tigers this fall. 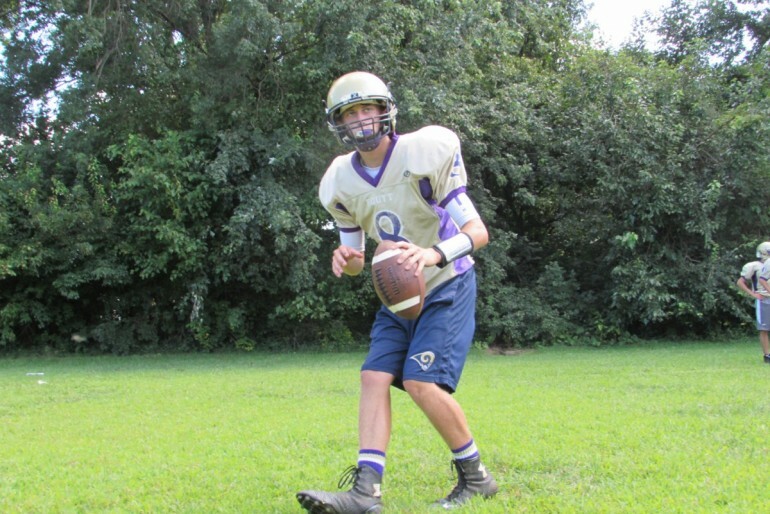 Also returning for the Tigers is sophomore quarterback Isaac Riddle, who started seven games as a freshman last year. 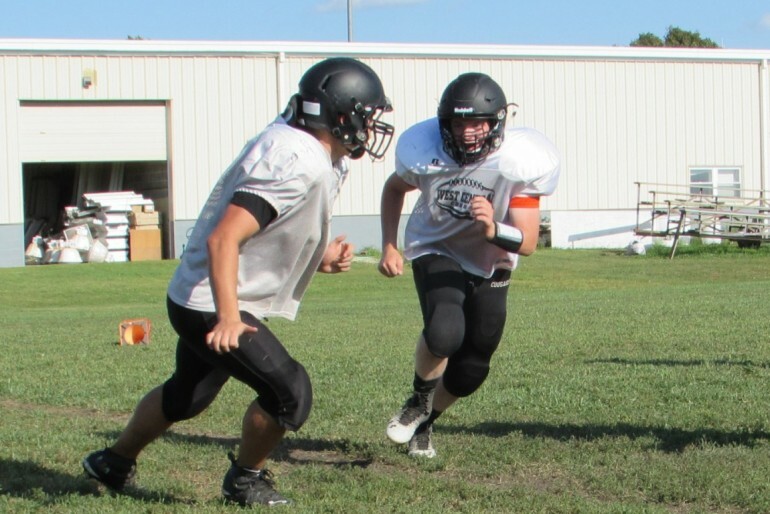 Riddle’s classmate, fellow sophomore Brady O’Hara, will be another staple for Beardstown both offensively and defensively, as a fullback and linebacker, respectively. One thing that the Tigers are most excited about as they enter the WIVC North is the fact that their road games will be much closer to home this year. Rather than travelling to Knoxville, Lewistown, or Cuba, Ill., Beardstown will take much shorter bus rides over to places like Camp Point, Arenzville, and Mt. Sterling. 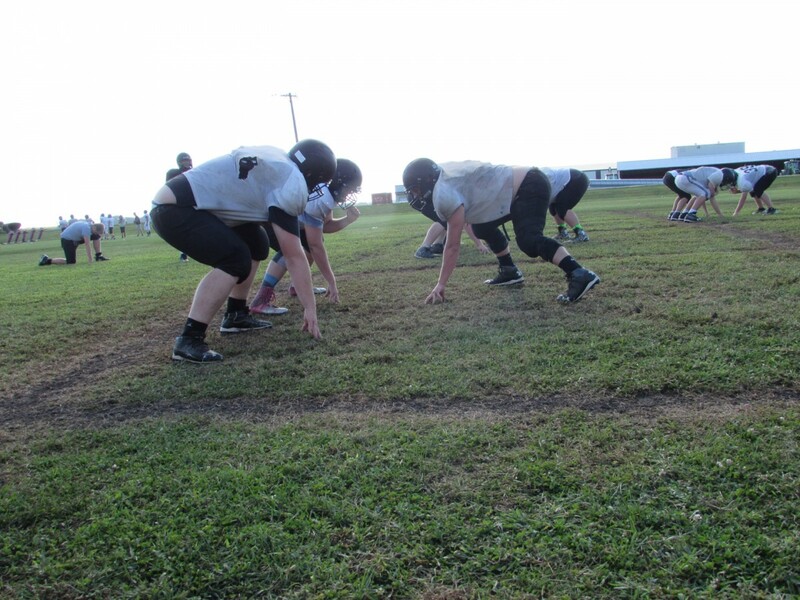 In fact, their season begins with a trip to White Hall to face off against the Spartans of North Greene High School, a team who has greatly improved over the last several years under head coach Tony Rhoades. Last year, the Spartans finished second in the WIVC South last year with a regular season record of 7 wins and 2 losses. Prior to last season, the last time a Jacksonville Crimsons football team had finished below .500 in the regular season came in the fall of 2006. Entering his 15th season as the Crimsons head coach, Mark Grounds has witnessed only four losing seasons during the first fourteen years of his tenure – which came in his first two years at the helm, in 2001 and 2002, the aforementioned 2006 season, and finally, last year’s 4-5 campaign. Of Coach Grounds’ 14 teams, 8 of them have qualified for the IHSA Class 5A playoffs. What I’m saying is: last year could be looked at as an abberation. 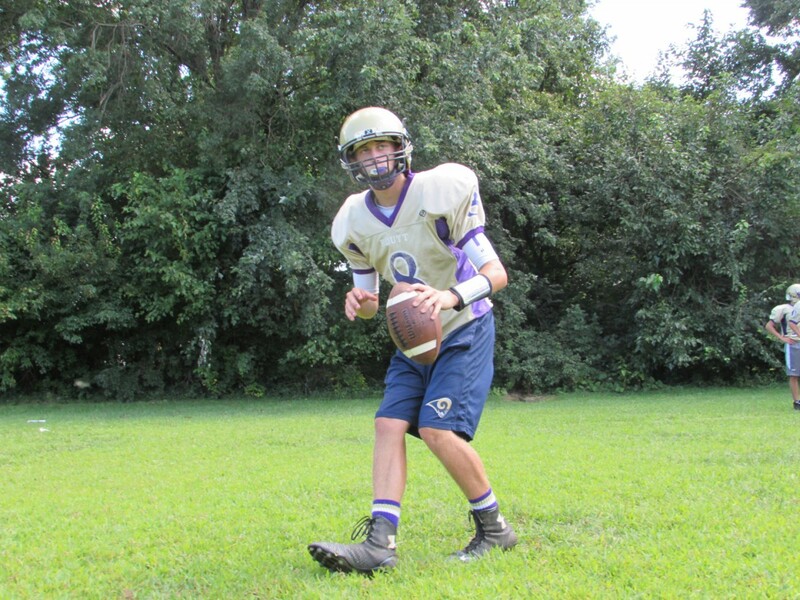 Perhaps the most encouraging aspect of Jacksonville’s team entering the new season is the fact that they bring back a plethora of skill players on both sides of the ball, starting with senior quarterback Joe Brannan. Throwing for over 2,200 yards in nine regular season games, Brannan’s 246.2 passing yards per game was the highest game-to-game average of any hurler in the CS8 last year. Aside from his arm, the 6’2”, 200 lb. signal caller seems to have gained a few seconds on his 40 time over the offseason, as he’s expected to play a larger role in the Crimsons’ run game. Lining up next to Brannan will be senior running back Matt Rooney, another familiar name from a year ago, as he rushed for 863 yards and 9 touchdowns during his junior season, including four games of 100 yards or more on the ground. He won’t be running behind Gabe Megginson and Coultan Hillis this year – both have since graduated – but Rooney will have two familiar faces up front with the return of Cole Wilson and Corey Ruyle. And while Brannan will command Jacksonville’s passing game, the majority of the Crimsons’ rushing attack will again go through Rooney. As for Brannan’s targets, he’ll have plenty of them. Wideouts Noah Pickens and C.J. Wright are both back for their senior seasons; Pickens hauled in 466 yards and 6 touchdowns last season, while the versatile Wright occupied a hybrid role as both a pass catcher and a ball carrier to go along with his team high of 4 interceptions as a defensive back. Another name you’re likely to hear more of this year is that of junior James White, who returns as the team’s leading receiver from 2014 with 790 yards and 5 scores during his sophomore season. Defensively, the Crimsons also return a number of starters from last year. Senior Braxton Criss will serve as the anchor of Jacksonville’s defense from his position at middle linebacker, where he collected a total of 64 tackles last season. Junior linebackers Klay Wood and Adam Hillis, each of which had 59 tackles as sophomores last year, will look to build on those numbers again this season. And while Jacksonville’s offense has been high-powered of late, the Crimsons’ most successful seasons have come when their defense has been able to slow down opposing CS8 offenses. In the Crimsons’ five losses last season, the defense surrendered 40 points or more in four of them, while in their four victories, opposing offenses never tallied more than 20 points. For the second year in a row, the Crimsons’ season commences with a week one match up with the Lions of Lanphier High School. Last year, the Lions picked up their first win over Jacksonville since 2009 – an early setback for the Crimsons on their way to a 4-5 season. This year’s week one game, on Friday, August 28, the Crimsons will have to travel to Springfield’s Memorial Stadium in what looks to be a must-win for Jacksonville, especially when you consider the remainder of their schedule through the Central State Eight, a conference that seems to increase it’s power over 4A and 5A football throughout Illinois with each passing season. If the Crimsons are to get back to playing winning football and vying for a shot at the playoffs, the key, according to Grounds, is to establish a good footing in the first two weeks of the season. There’s no question about it, last year’s Sangamo Confonfernce was one of the best 2A/3A football conferences in the state of Illinois. With Athens, Auburn, Pleasant Plains, New Berlin and Williamsville all qualifying for the playoffs – the lattermost making a run to the 3A state title game – a nine-week schedule through the Sangamo was, and remains, a daunting expedition. Despite their treacherous schedule, the 2014 New Berlin Pretzels football team emerged from the gauntlet with a 7-2 regular season record and tied for second in the Sangamo with their rivals from Auburn High School. New Berlin’s season ended at the hands of the conference champs from Williamsville High School after a heart-wrenching 14-10 loss in the second round of IHSA’s Class 3A playoffs. But that was last year. 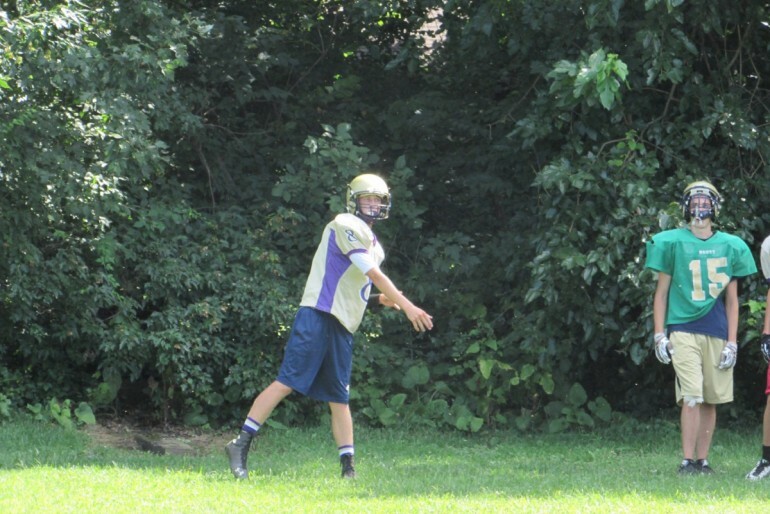 And while many of New Berlin’s top contributors from a year ago have since graduated – namely the duo of quarterback Jake Hunt and receiver Chase Creviston – there are still a number of impact players that returning to the Pretzel’s roster. Among those key returners is senior Cam Cummings. As one of the Pretzels’ top pass-catchers last fall, Cummings will now be asked to occupy the team’s vacancy at the quarterback position as his team adjusts to new changes in personnel. Cummings hauled in 45 receptions for 674 yards – second behind Creviston for most on the team – along with 8 touchdowns (7 receiving and 1 rushing) over the course of 10 games in 2014. Yet despite his impressive numbers as a wideout, head coach Barry Creviston likes what his new signal-caller brings to the table athletically, because like Hunt last year, Cummings’ versatility to both pass and run, will be crucial to the Pretzels’ offensive success. While Cummings settles into his new role as the Pretzels’ quarterback, the rest of New Berlin’s offense will likely hinge on the play of senior receivers Connor Burger and John Finke, both of whom played significant roles in last year’s potent passing attack. Aside from his new battery mate at QB, Burger returns as the Pretzels leading receiver from a year ago, as he collected 43 catches for 505 yards and 5 touchdowns. Finke, who stands at 6’3, is coming off of a junior campaign in which he registered 316 yards on 24 catches and 2 scores. In terms of what they’ll have to replace on defense, the Pretzels will be without three of last year’s leading tacklers in Michael Spradlin, Konner Beer and Caleb Horchem. With the trio of Spradlin, Horchem and Beer accounted for nearly 45 percent of the team’s tackles in 2014, the Pretzels will look to some new faces to hold down the defensive side of the ball as they enter the new season. New Berlin’s season kicks off with a home game against their perennial rivals from North Mac, a match up that seems to always bring out the best in each of the teams, and which last year, produced a thrilling 31-24 win for the Pretzels. Other dates to circle on New Berlin’s schedule would be September 25, when they’re set to square off against the defending Sangamo Conference champs from Williamsville, the same team that ended the Pretzels season in the second round of last year’s playoffs. New Berlin’s week eight’s game meeting with Auburn High School – a road game for the Pretzels – could likely be the game of the year for either team, as last fall’s contest between the two schools witnessed a thrilling 21-20 victory for the host Pretzels. Surely, when October 16 rolls around, Auburn will be seeking retribution. 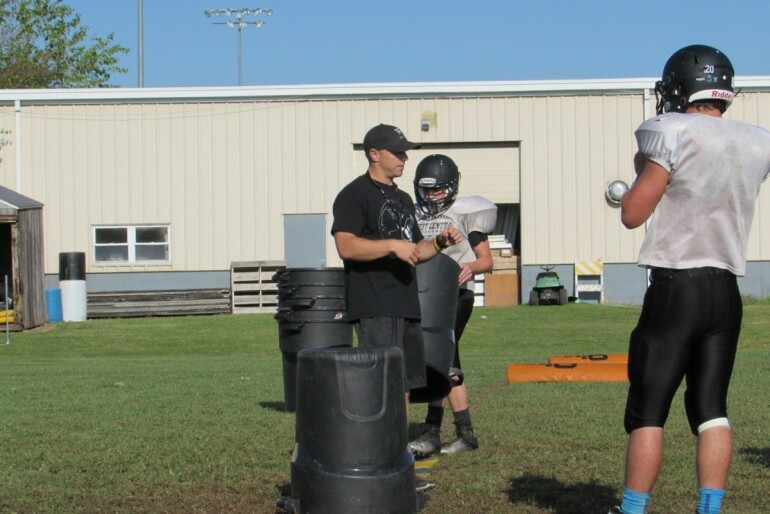 Coming off of their best season in a decade, this year’s North Greene Spartans football team, led by fifth year head coach Tony Rhoades, looks to sustain their recent success despite the loss of several key players from the 2014 squad. Since taking over as head coach prior to the 2011 season, Rhoades has put together an overall record of 19 wins and 21 losses which, at first glance, might seem modest. But consider the last two seasons, in which the team went 14-8 (5-5 in 2013 and 9-3 in 2014) including back-to-back postseason trips for the first time since ’04-’05 – as well as last year’s run to the state quarterfinals – and you clearly see that the Spartans are riding an upward trend. 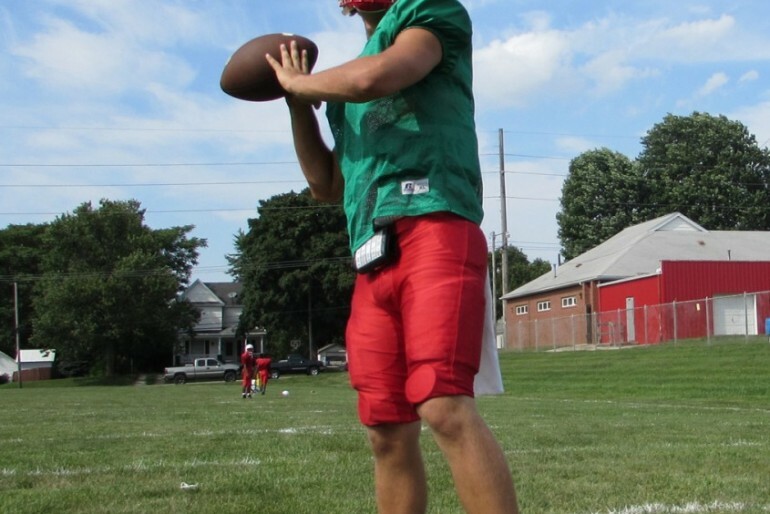 Last fall the Spartans were led by a strong group of seniors in quarterback Nathan Randall, running back Kolten Heberling, wideout Connor Vincent, and linebacker Zack Reische. After a 7-2 regular season, the Spartans extended their record to 9-2 with consecutive playoff wins over Pawnee – the school’s first postseason victory since 2004 – and Abingdon-Avon before eventually falling to Camp Point Central in the quarterfinal round. 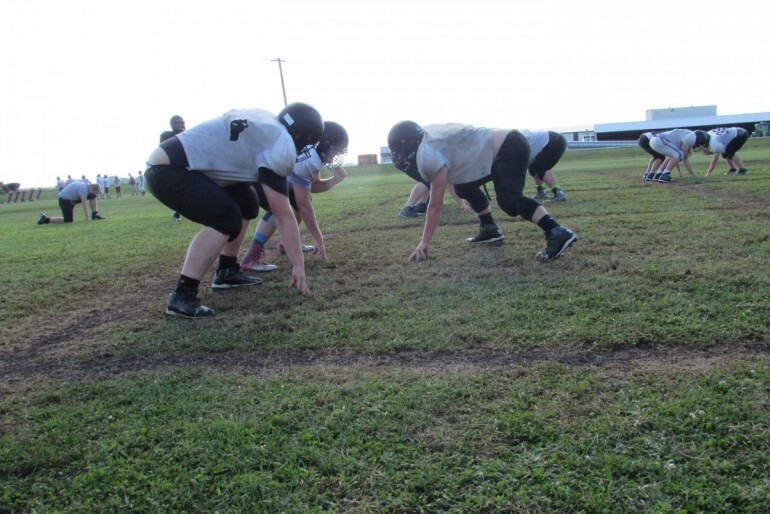 Along the way, North Greene put together a six-game winning streak and established themselves as a true contender in the WIVC South, where they finished second behind the Hawks of Carrolton High School (9-0). As for this year’s team, the Spartans will look for leadership in their two returning captains, Dalton McDonald and Nick McEvers. McDonald – entering his junior year this fall – will look to stymie opposing ball carriers in the middle of North Greene’s defensive front; his 46 recorded tackles as a sophomore last fall – second highest on the team behind the aforementioned Reische – suggests that the 6’2, 195 lbs nose guard will occupy an increasingly critical role on the defensive side of the ball. While McDonald man the front lines, McEvers is likely to get the majority of touches on offense as the team’s senior running back. Other key contributors to North Greene’s season will be returning third year starters, Derek Dawdy (TE/DE) and Jordan Whicker (OLB/CB), as well as seniors Taylor Hestor and Jacob Atwood, who will occupy key spots on the Spartans’ offensive line. 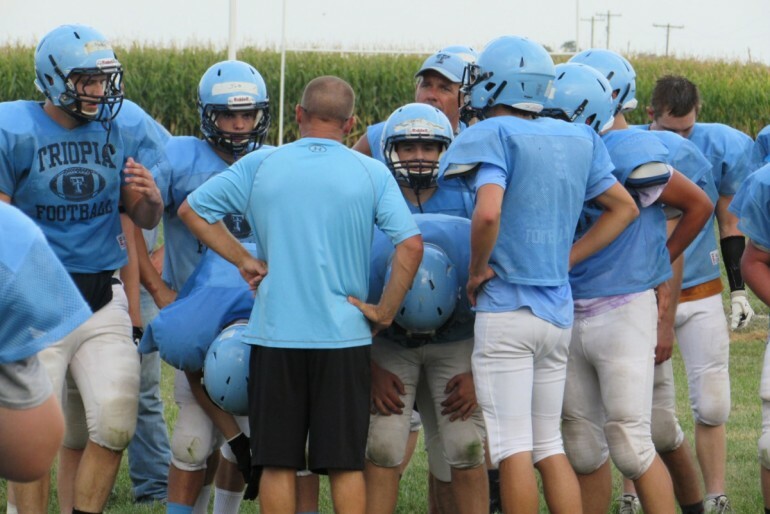 The Spartans, who were 5-0 at home last year, open up the 2015 season against Beardstown High School, who were the latest team to join the WIVC North this past offseason; their week one match up on Friday, August 28 will be the first meeting between the two schools in football. 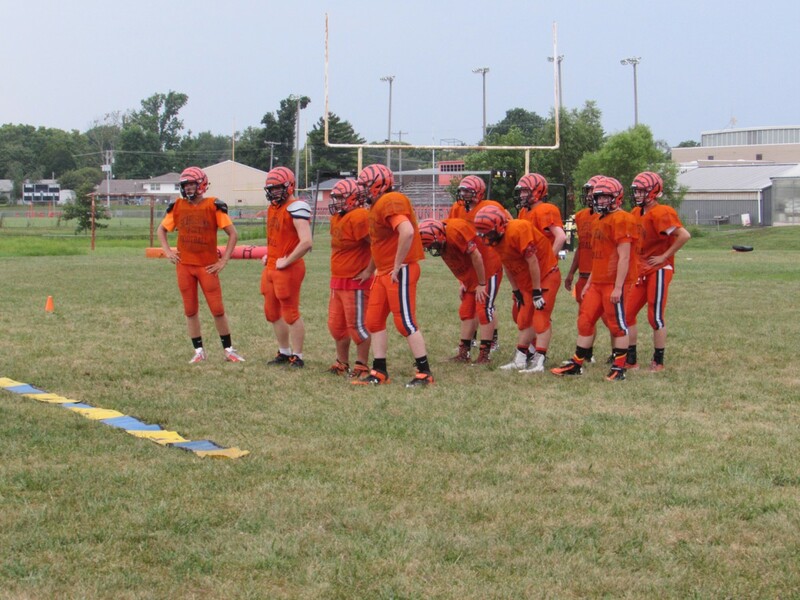 And while the school’s enrollment qualifies it’s football team a Class 3A school – for the past (#) years Beardstown has been a member of the Prairieland Conference facing 2A and 3A competition – the Tigers are coming off an 0-9 winless season. One common theme with these football previews – given that the majority of them cover smaller, Class 1A schools – is to examine the correlation between a) the number of kids that come out for each individual program per year, and b) on-field performance, which is presumably measured in the amount of wins in a particular season. And while every high school football coach will tell you that they’d like to have as many kids as possible, it’s also important to determine whether a team’s roster is young or old; how does each academic class breakdown in terms of the number of kids? Are there more juniors and seniors, or freshmen and sophomores? And finally – regardless of how old they are or whether they’re upperclassmen or lowerclassmen – are the players experienced or inexperienced in terms of varsity minutes? 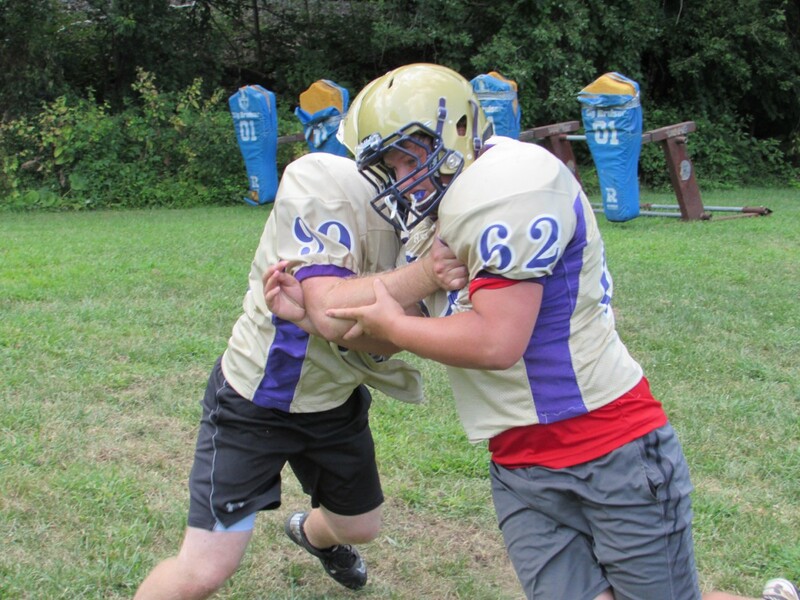 The reason I bring all of this up is because the football program at Routt Catholic High School presents an uncommon case of being both young, but also relatively experienced. And although Routt has only cumulated two wins over the past two seasons, there’s reason to believe that the young Rockets are headed in the right direction. 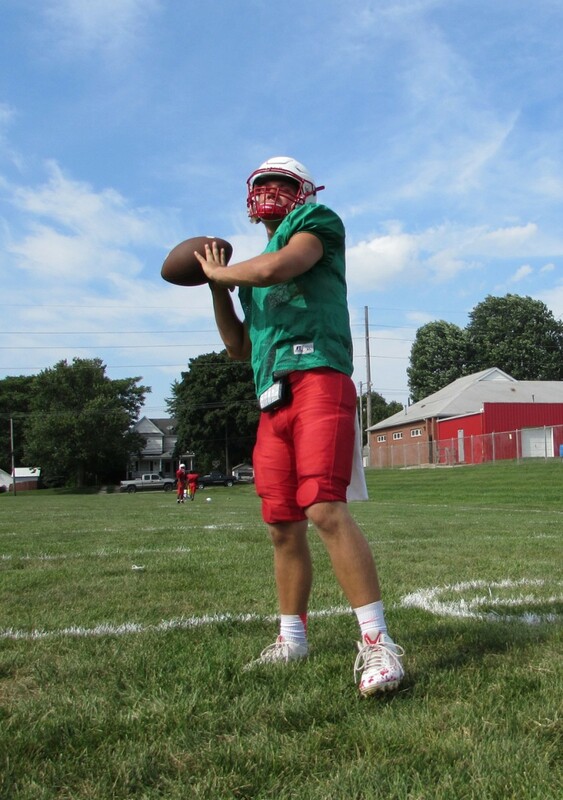 Leading this potential resurgence is sophomore quarterback Hunter Chumley, who’s back for his second season under center after starting all nine games as a freshman last fall. While it’s true that – like the current team – last year’s squad was considerably young, the Rockets did lose their two leading rushers from a year ago in Keegan Hoots and Joe Nix. Losing their two feature backs to graduation will surely have its effect on the team, but as for this year’s senior class, they have some impact players of their own in Jack Whalen, Adam Howard, Cole Burke and David Ruppel. As Chumley looks to guide Routt’s offense, the Rockets will count of (class) Austin Black to lead the purple and gold defensively. Black returns as the team’s leading tackler from a year ago, and – given the Rockets’ somewhat undersized front – will try to contain other run-heavy WIVC offenses by relying on his team’s above-average speed and athleticism. Over the nine regular season games last fall, the Rockets’ defense allowed 36 points per game to opposing offenses – three times surrendering more than 50 points – while the team’s offense averaged just under 12 points per contest. These averages, on both sides of the ball, will need to improve in order for Routt to have a successful season. The Rockets’ quest to get back to the top of the WIVC North begins with a week one home opener against Greenfield-Northwestern. 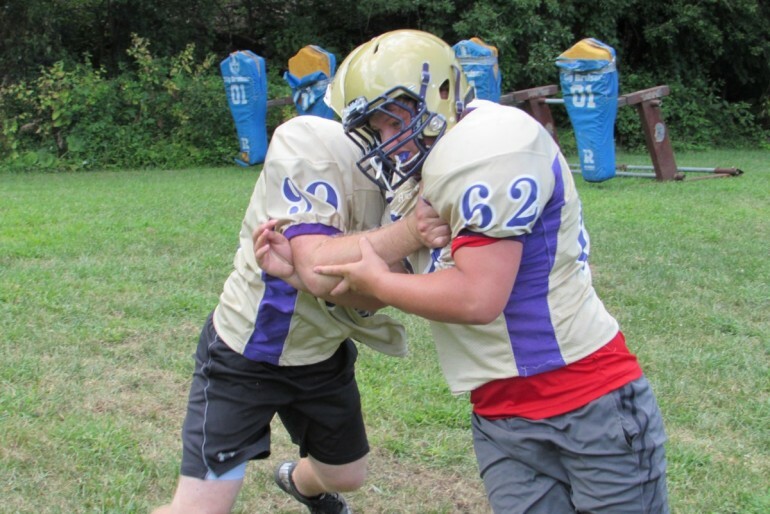 Perennial contenders in the WIVC South, the Greenfield Tigers will present a tough match up for Routt in the opening week – last year the Tigers beat the Rockets by a final of 26-0 in week eight. In 2014, the Rockets’ lone victory came with a 43-6 win over Unity High School on the road in week five. This year, Routt will host Unity in a match up scheduled for week six. Last year at this time, I was trying to get a feel for a Triopia Trojan football team that was coming off of a season in which they finished 2-7, the school’s first losing season of football since prior to the new millenium, and the first below-.500 team in the Rich Thompson era – an era which had witnessed Coach Thompson’s teams win more than 85 percent of their games over a six-year stretch that included four seasons with double-digit wins and one state championship. The premise of my preview article was based on the claim that 2013 was an anomaly, and that last year’s Trojans would resemble the winning play that the school had been used to. Luckily for me, the Trojans proved my hypothesis of an improved record to be correct, going 5-4 in the regular season before falling to Carrolton in round one of the playoffs. 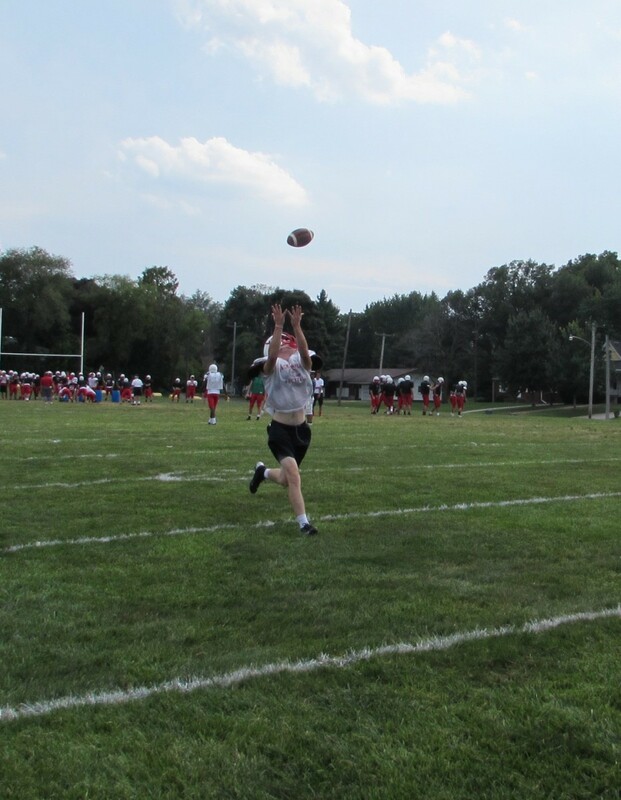 Now that the program is back on it’s feet, the Trojans are hoping to return to their once-held position as perennial contenders atop the standings of the WIVC North. Yet in order for Triopia to continue their climb upward, they will have to get it done with some new faces, as they enter this year without their four leading rushers from 2014. 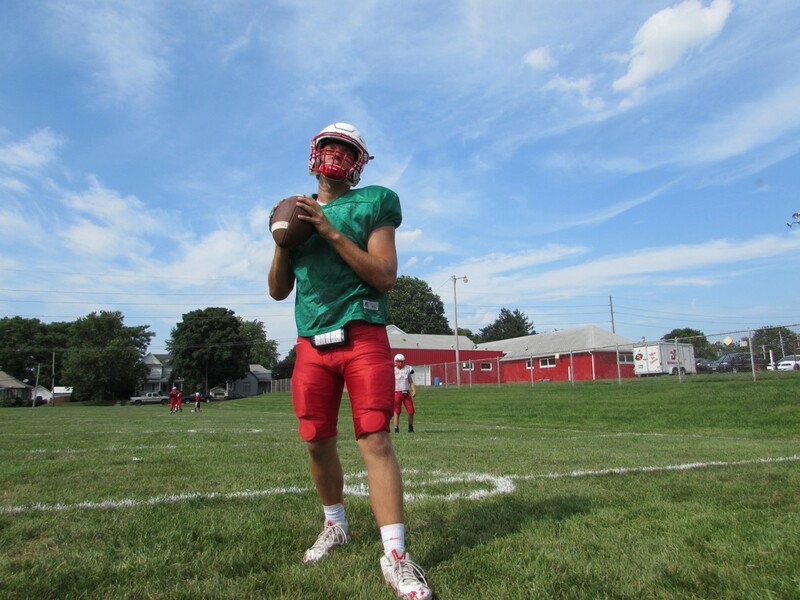 Although they will be without much of their backfield from a year ago, Triopia does quarterback Isaac Werries, who started all 10 games as a sophomore last year. Entering his junior campaign, Werries’s role in the Trojan offense is likely to increase during his second varsity season. Lining up behind Werries, in Triopia’s patented Wing-T offense, will be 5’10 junior, Blake Lawson, who returns as one of the only backs – with the exception of Werries – that got meaningful carries during last year’s season, most of which went to the since-graduated foursome of Blake Parker, Will Alexander, Triston Wise, and Dean Arendt. Other Trojan ball carriers that are expected to fill larger offensive roles this year include seniors Levi Job and Tim Shade. With Lawson likely the feature back, Job will see time as the Trojans’ wing-back, while Shade will occupy the team’s fullback position. In terms of Triopia’s offensive line, perhaps the most important group on any team that relies heavily on their ground game, the Trojans return three seniors in Matt Privia at center, Mason Young at right tackle, and Austin Holt at guard. With their week-one trip to Calhoun, Triopia will be put to the test immediately, on the road in what has historically been one of the WIVC’s most raucous environments. Despite both schools being members of the WIVC, you’d have to go back several years to find the last time Triopia and Calhoun met on the gridiron. 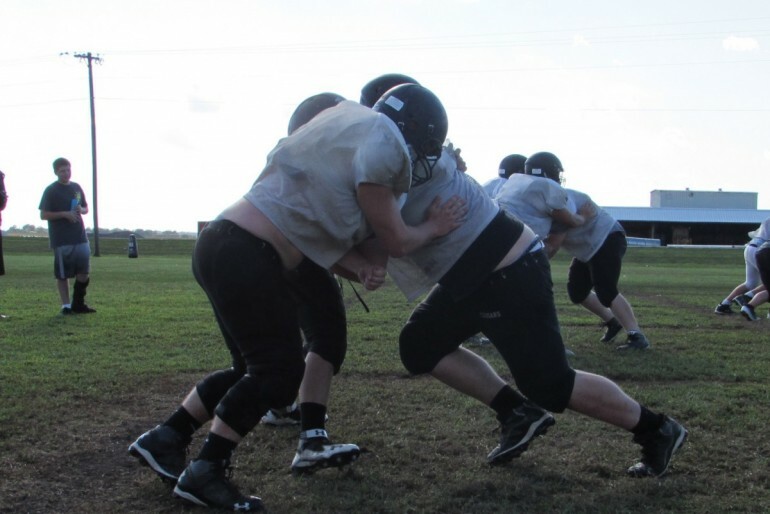 Of Triopia’s other unfamiliar opponents are the Spartans of North Greene High School, whom the Trojans last played in 2013, and of course, their new WIVC North rival, the Beardstown Tigers. Each week will present a new challenge for the Trojans, but if I were to predict the two most important games on the schedule, it could very well be the last two. When weeks 8 and 9 arrive in late October, Triopia could be looking at two games that could ultimately decide their season; first, a road match up with Greenfield-Northwestern, whom the Trojans fell to by a final of 24-20 in last year’s week eight contest. Finally, the Trojans will wrap up their regular season at Don Kemp Field, against the Carrolton Hawks, the 2014 state championship runner-ups. Whereas last year’s Triopia team had the goal of making it back to the playoffs after their one-year hiatus, this year’s team is focused on not only getting there, but setting themselves up for a more favorable seeding. As I enter my second year covering high school football, I’ve come to realize that, when it comes to the Western Illinois Valley Conference, it’s increasingly difficult to provide a year-to-year forecast of how the conference standings could turn out. 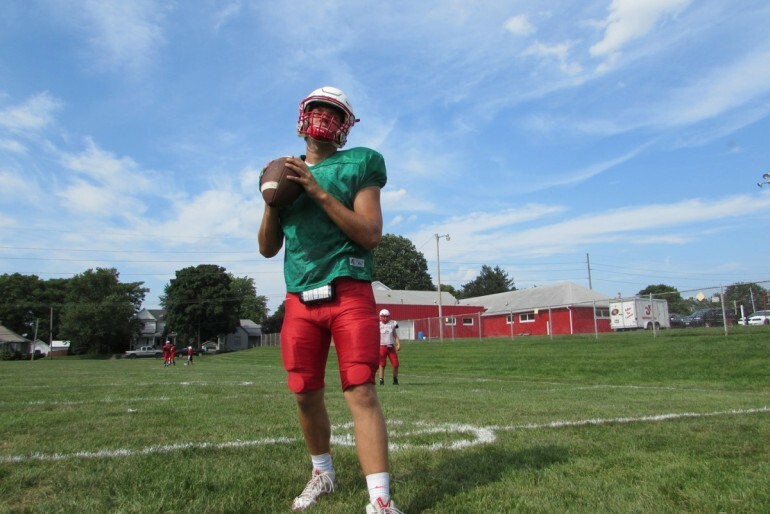 Almost every school in the WIVC qualifies as a Class 1A football team, meaning that each season, the conference’s best schools are typically the ones with the most depth – especially when that depth includes a high number of upperclassmen. 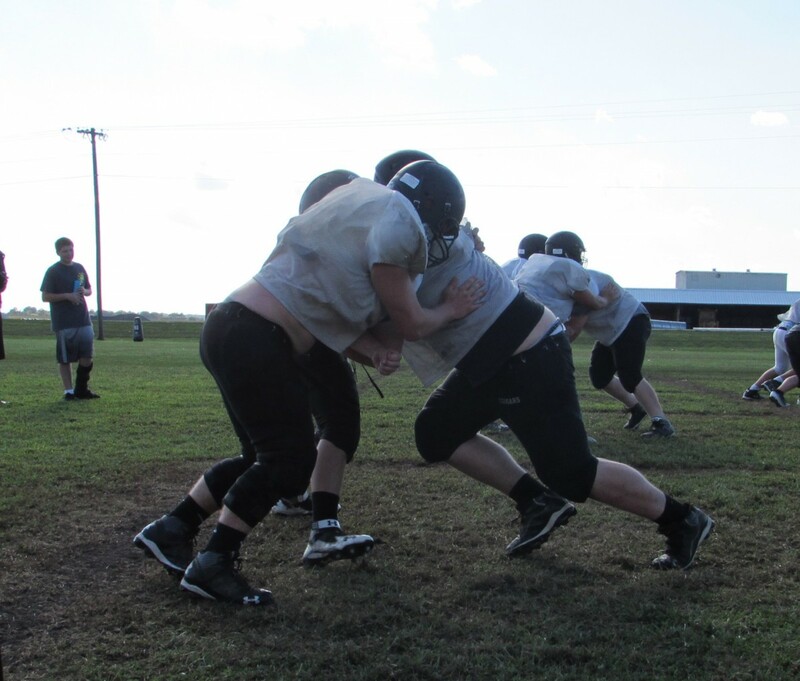 Which is why, despite their 2-7 record last year, the senior-dominated Cougars of West Central High School could be poised for a quick turnaround as they enter the 2015 season. This year, the Cougars have the luxury of returning every member of their 2014 backfield, a group which features quarterback Kobie Hoover, fullback Tyler Strohecker, and running backs Luk Weder and Lance Barnett, all of which are seniors. 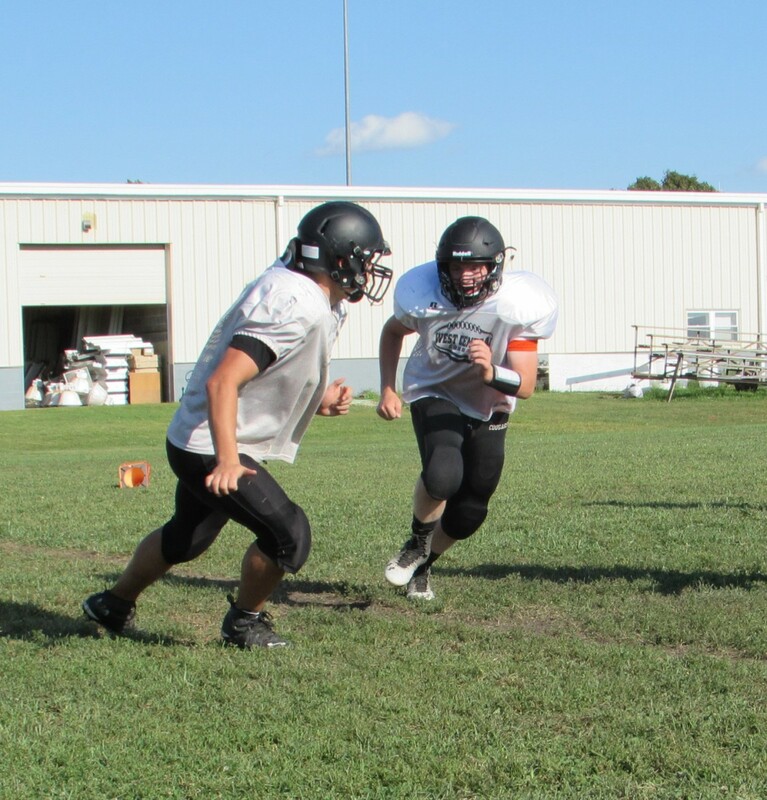 With nearly every offensive play being run through one of these backs last year, the core of West Central’s run-oriented offense should be very familiar with one another as they enter the 2015 season. 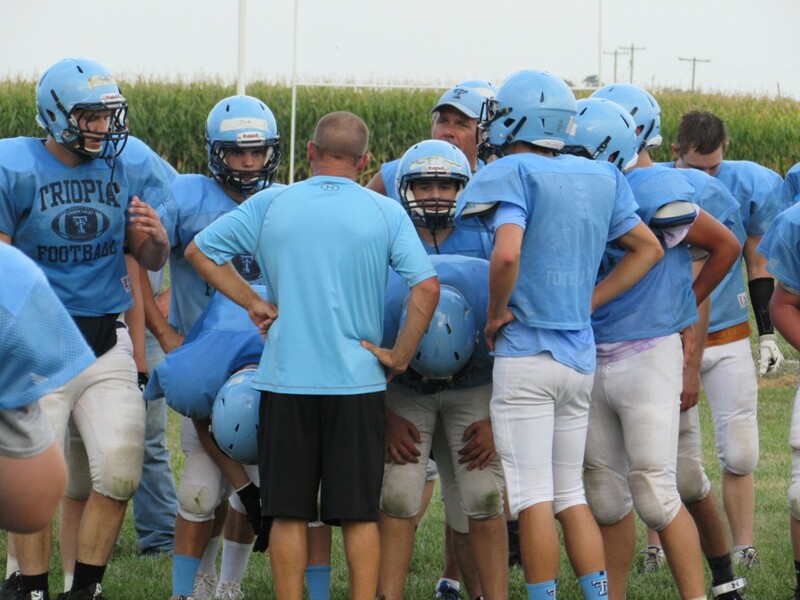 And now that they begin their second year under head coach Alex Ebbing – a disciple of the run-heavy Wing-T offense – West Central looks to take the next step in becoming a yearly contender in the WIVC South. For a team like West Central, who competes in a rather balanced conference in the WIVC, their 2-7 record from a year ago can be a bit misleading. While the 2014 squad started out 2-0 before dropping 7 in a row to end the season, three of the team’s losses were decided by an average margin of just 3 points, which shows that the Cougars were potentially a handful of plays away from a .500 record. In fact, between weeks four and seven last year, the Wildcats dropped four games by a total of 18 points. But high school football is defined by the fact that you’re only guaranteed nine weeks. 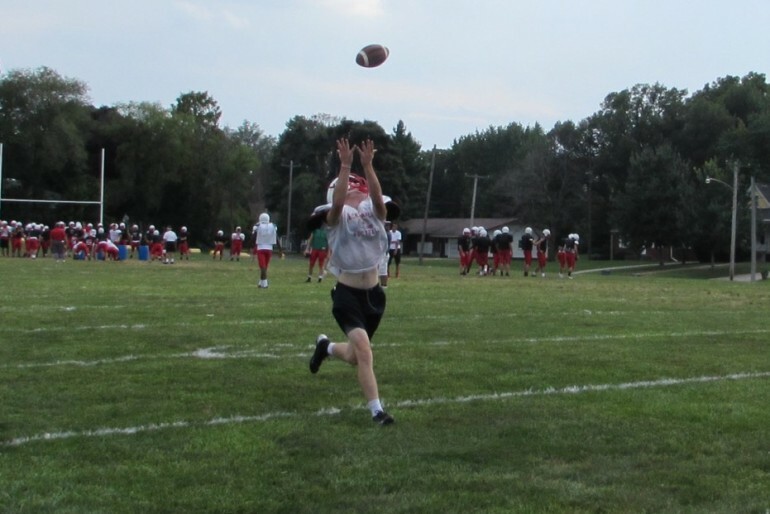 And this year, West Central will look to make the most of it, while hoping to find themselves on the positive end of those tightly contested games. The Cougars’ schedule kicks off with what looks to be a tough road game at Camp Point Central, the defending WIVC North champions who finished with an overall record of 11-2 last fall. From there, the Cougars will return home for a week two contest against the Rockets of Routt Catholic High School before embarking on their journey through the WIVC South, which begins with a week three road game at North Greene High School. If all things go according to plan, West Central could be looking at a pivotal week nine match up with WIVC newcomers, the Beardstown Tigers, to close out the season. The Tigers join the WIVC North this year as the largest school in the conference – for the last several decades they were members of the larger Prairieland athletics conference – and will look to improve upon their 0-9 record from a year ago.